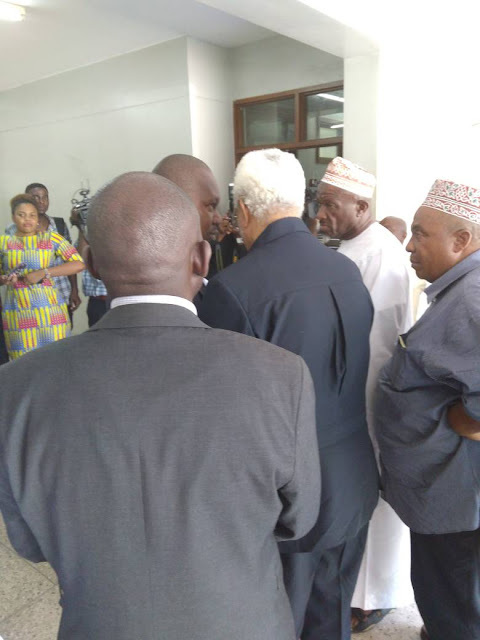 Waziri Mkuu mstaafu, Edward Lowassa amerejea tena mahakamani mchana huu akiwa na Hamis Mgeja. Already the ministry of Transport has ordered ATCL to prepare a business plan which, among the things, will identify the airline’s needs. ALIYEKUWA Mkurugenzi wa Shirika la Ndege (ATCL) David Mattaka, na wenzake wawili, wamepandishwa kizimbani wakikabiliwa na mashitaka ya matumizi mabaya ya madaraka na kuisababishia serikali hasara ya Sh bilioni 86.5. With the government’s renewed commitment to revive Air Tanzania Company Limited, a vital step towards uplifting tourism in the country, Business Editor, Samuel Kamndaya, held a talk with the first board chairman for the company during its days as Air Tanzania Corporation Andy Chande. Bombardier Commercial Aircraft announced yesterday that it has signed a purchase agreement with the government of Tanzania for two Q400 turboprop airliners.